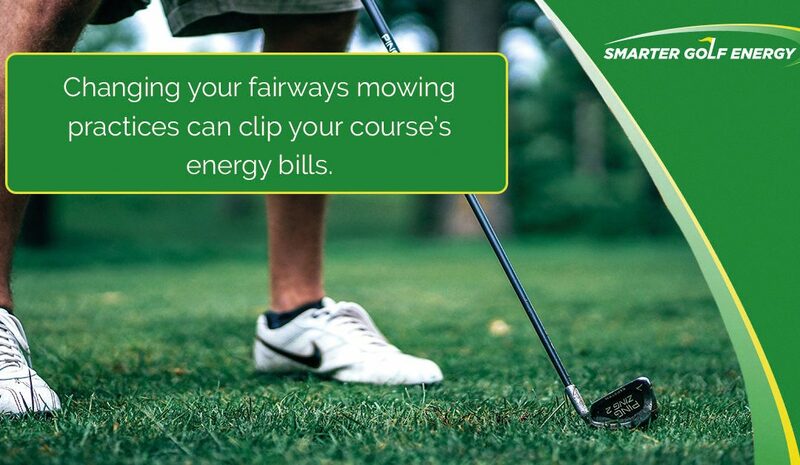 Changing your fairways mowing practices can clip your course’s energy bills. A simple change in fairway mowing patterns and frequency can mow down energy bills, generating dramatic energy savings that can be put to better use enhancing a golf course’s aesthetics and playing performance. Published examples from the UK are thin on the ground, but in the US state of Minnesota for instance, the Northland Country Club outside Duluth generated a staggering $18 000 cost saving by switching from diagonal striping to a light-and-dark mowing pattern. Prior to 2007, the fairways and tees at Northland were mowed using back and forth diagonal striping, with nine holes mowed each day six days a week at a cost of roughly $30 000 for one season. Beginning in 2007 its fairways—all 18 holes of them—were mowed in a light-and-dark pattern, twice a week, at a cost of just $12 000 per season, giving its fairways a classic appearance that harked back to golf’s early days. Before the advent of lightweight fairway mowers, the only option for mowing a fairway was a circular mowing pattern that resulted in a light and dark striping. From these savings, the club was able to increase its seasonal labour and focus on upgrading other areas of its budget, such as topdressing of approaches, walk-mowing and hand-raking bunkers. How golf clubs save electricity – fast! The quickest way to save energy is to shop around for more competitive tariffs once your existing contract ends. Although this can yield considerable savings, the process can be time-consuming for already-stretched golf course managers, which is where an expert energy broker can help. As one of the UK’s largest business-to-business utilities brokers, Smarter Golf Energy’s experienced consultants help golf courses manage, monitor, and save on their energy costs. With our level of expertise, strength of supplier relationships, leading-edge technology, and range of fixed, flexible, and bespoke energy plans, we’re able to source the most competitive energy pricing for your needs. Contact us here to get more expert advice on how you can save with our smart energy solutions.